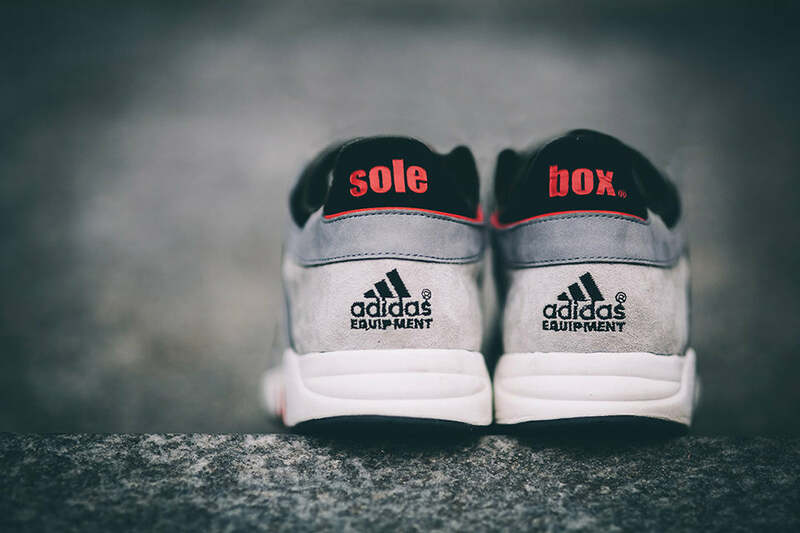 Solebox of Berlin have once again collaborated with adidas Originals. 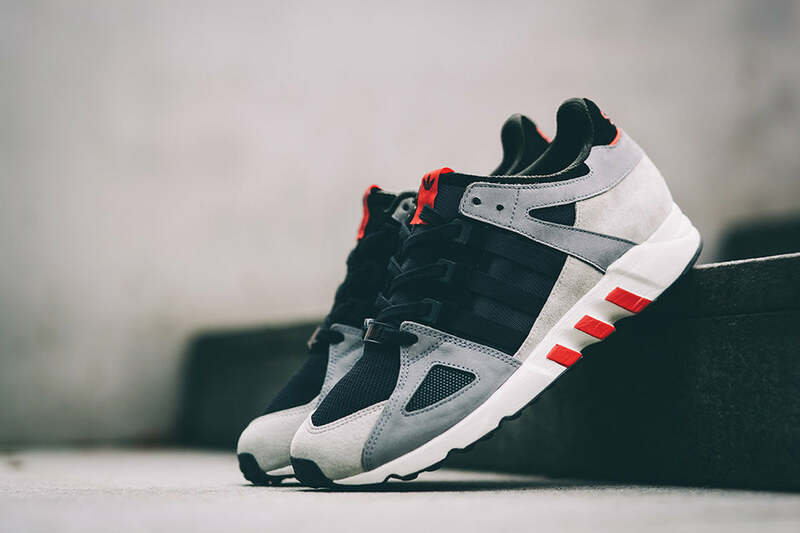 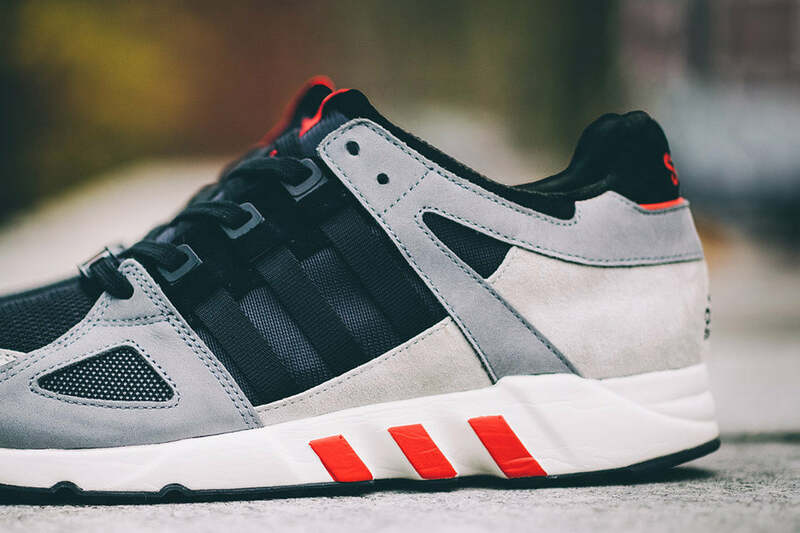 For this Consortium release Solebox have respectfully reworked the EQT Running Guidance ’93 with premium tonal grey suede overlays on a black mesh base. 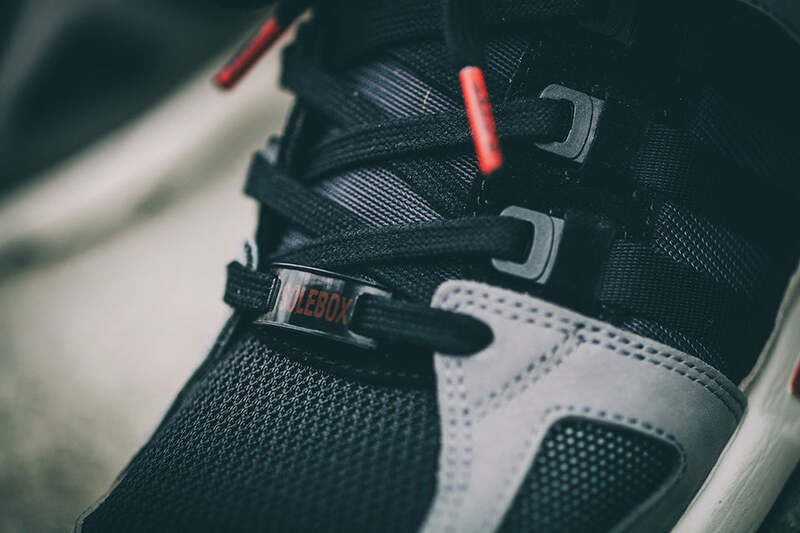 Accented with red pops on the midsole, tongue label and Solebox branded heel tabs.